Early bike ride at 6.30 to see the city in the quiet. There were still a few people about finishing off their big night. We rode along the Vistula bike path to the Schindler factory, now a museum. This is one of the top tourist places here, along with Kasimierz (the Jewish Quarter) and day trips to Auschwitz and the salt mines. 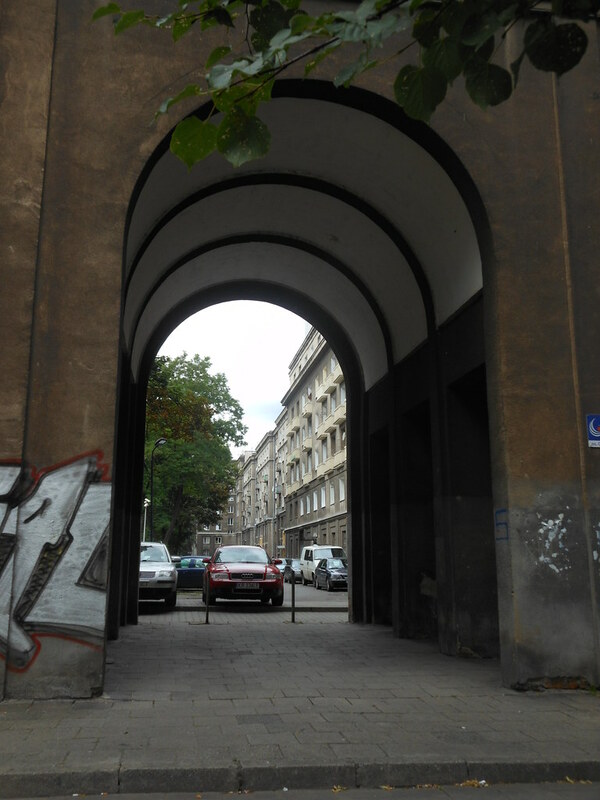 We had heard about Nowa Huta from a brochure offering cult communism tours, so we decided to do our own tour. NH is an urban development on the eastern fringes of Krakow, a creation of the communist era in Poland. It is renowned for its architecture and history as a working class area and Solidarity stronghold, built to express socialist ideals. We found it interesting and pleasant – clean, tree-lined streets with plenty of parks; housing blocks mainly grey but in reasonably good condition and with shaded gardens all around; geraniums in window boxes; trams providing transport to the city and to the industrial area. It’s somewhat reminiscent of Canberra – must be something to do with 20th Century urban design. There have been some changes since the end of communism – the large statue of Lenin is gone (bet they wish they’d kept it now! ), churches have been built and some street names changed (eg Ronald Reagan Square and John Paul II Avenue). No Trabants in sight but we did have coffee at Cafe Styl which still has a 1970s decor inside. Later in Market Square we watched an accomplished button accordion trio play Vivaldi Summer and Bach Toccata in D minor. Tomorrow we take the train to Nowy Targ on the way to Slovakia. This entry was posted on 15 July 2012 at 2:52 pm and is filed under Poland. You can follow any responses to this entry through the RSS 2.0 feed. You can leave a response, or trackback from your own site.